Retirement is a major life transition – up there with marriage, buying a house, having children et al. It also starts a period of relaxation and frees up time to fulfil the remaining dreams of life, otherwise left unattended. However harsh it may sound, the ability to fulfil these desires hangs on the availability of money. Additionally, while you must be creating these plans, you should not discount any unfortunate situation which can eat up your savings while ruining your desires. Finding the retirement years of your dreams takes planning. A jitter-free post-retirement depends on creating a proper protective shield around all probable situations. To be ready with a protective shield requires you to have a proper awareness of needs, possible situations and accordingly decide on the suitable financial product available in the market. Life insurance has the potential to protect and do so much more if suitably utilised in an all-inclusive retirement plan. While you may be reading this, retirement could the last thing on your mind. But most people make this mistake, they think of money and planning only when they are close to retirement. In the best case scenario, one should start preparing for retirement practically from the time one starts working. It is suggested to buy a life insurance plan early so as to avail maximum value at minimum expense. Plans bought early costs less and it is wiser to anticipate the new responsibilities that are going to appear in future. Having a fitting life insurance plan keeping retirement in mind will accomplish multiple jobs. It will protect your income, offer tax-free cash flows and provide peace of mind to you and your family even at a time when you are not working. Protection shield for retirement is incomplete without covering the two key needs: 1) Income to cover regular expenditures; and 2) Protection against rising health costs. A whole-life insurance savings plan offers protection in case of untimely death and offers either regular income or a lump sum corpus to help generate income post-retirement. As old age approaches, chances of developing complications around health arise. The cost to treat cancer, heart and renal ailments or an impending organ transplant can go beyond one's reach. A plan offering cover against critical illnesses can come to one's rescue by paying lump sum benefit on the diagnosis of listed critical Illnesses. After retirement, sustaining savings can be challenging and these essential policies will help in maintaining them. Protection needs of the spouses are similar. Irrespective of whosoever the bread earner, both are at a similar life stage. Lack of appropriate cover when the need arises can result in burning up savings. If you are the only bread earner, lack of cover for your spouse can put his/her financial needs in danger in case of an unfortunate event. 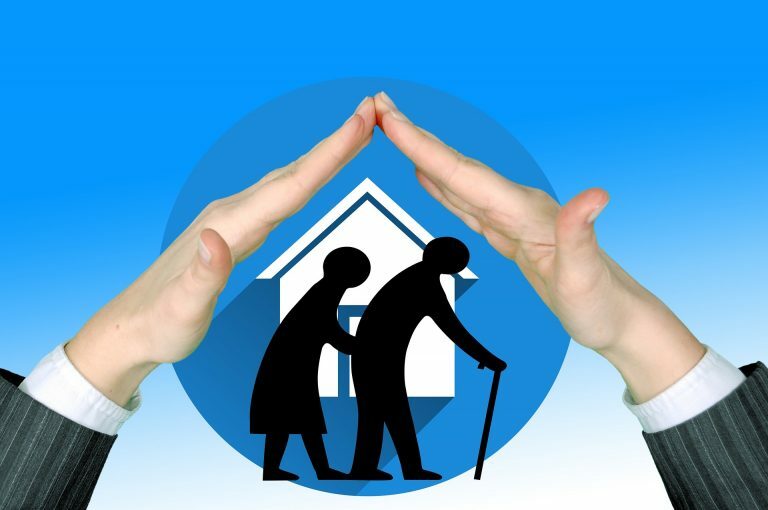 Hence, it is prudent to opt for a joint insurance cover as they cover both you and your spouse in a single policy. Which life insurance policy will suit your retirement needs best? There are two types of whole-life policies: traditional participating plans and unit linked insurance policies (ULIPs). Participating plans offer returns which are partially guaranteed and upside is delivered in the form of bonuses. While ULIPs are plans offering protection along with an investment option in a single plan, as the investment is linked with the market, selection of the appropriate plan depends upon your comfort with risk. If you have a low risk appetite, you should opt for a participating plan. If you can bear some risk and are looking at wealth creation, ULIPs are the best fit for you. It is always prudent to analyse the need and impact of life insurance on your retirement plan. Not everyone’s needs are the same. Some might benefit from term life insurance, while others might benefit more from whole-life or guaranteed return policies. While some might not have a significant need for additional insurance, there will be individuals who may be underinsured and are leaving much risk on the table by not having the proper amount or type of life insurance. Having the right plan and the appropriate life insurance policy can certainly improve your retirement. Determine your specific life insurance needs, get guidance from an insurance advisor or do your research on the internet, review the companies offering such policies and then purchase one that best meets your needs. It is important to note that life insurance can provide more than just protection during the working years as it can continue to offer protection and benefits all through your retirement.